Stamps are hard not to love. 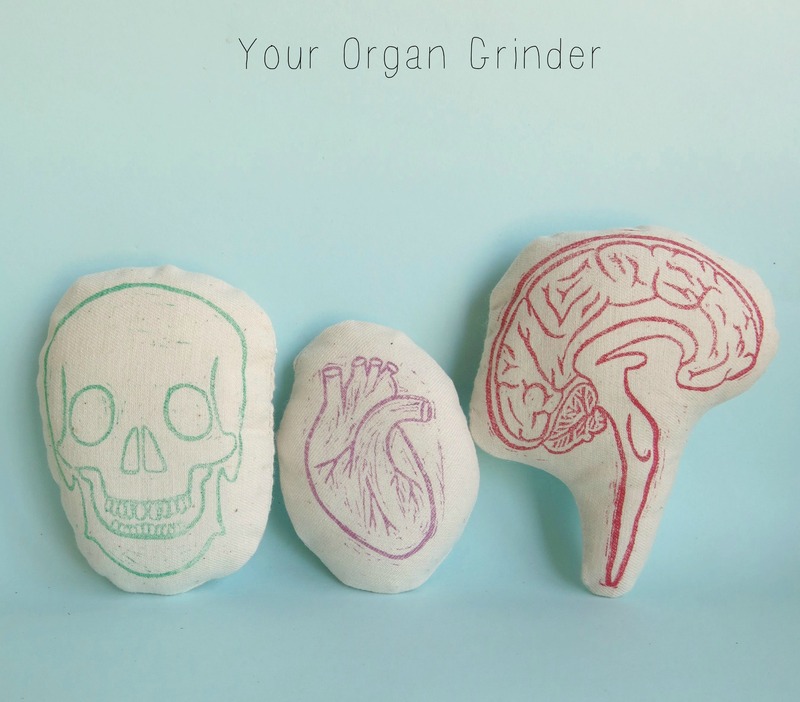 Whether it is a humble potato stamp, store bought stamp, someone else’s hand carved handy work, or, best of all, your own hand carved stamp. 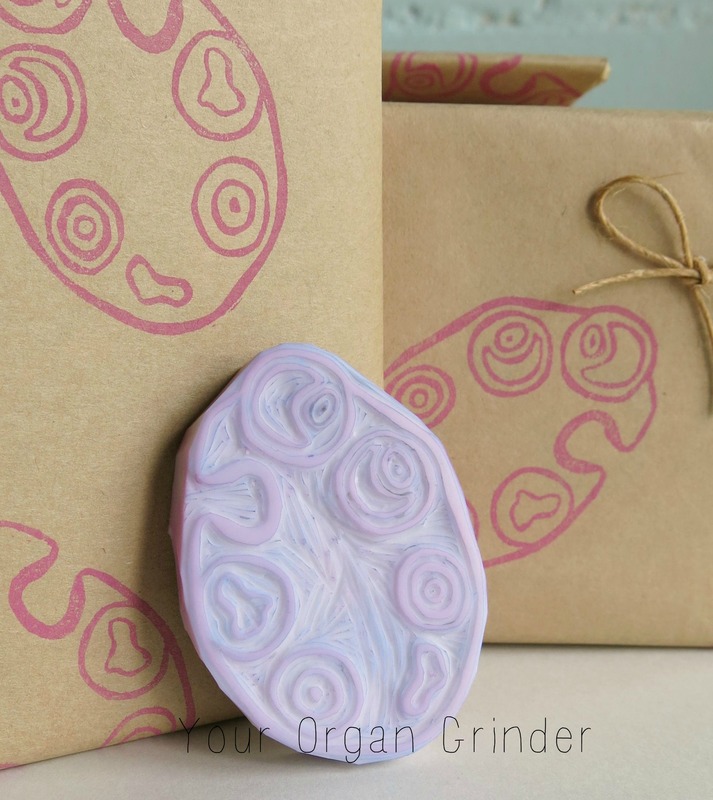 I learnt to carve stamps from Kay Watanabe as part of the Hands On Brisbane and truly love the technique and the results. 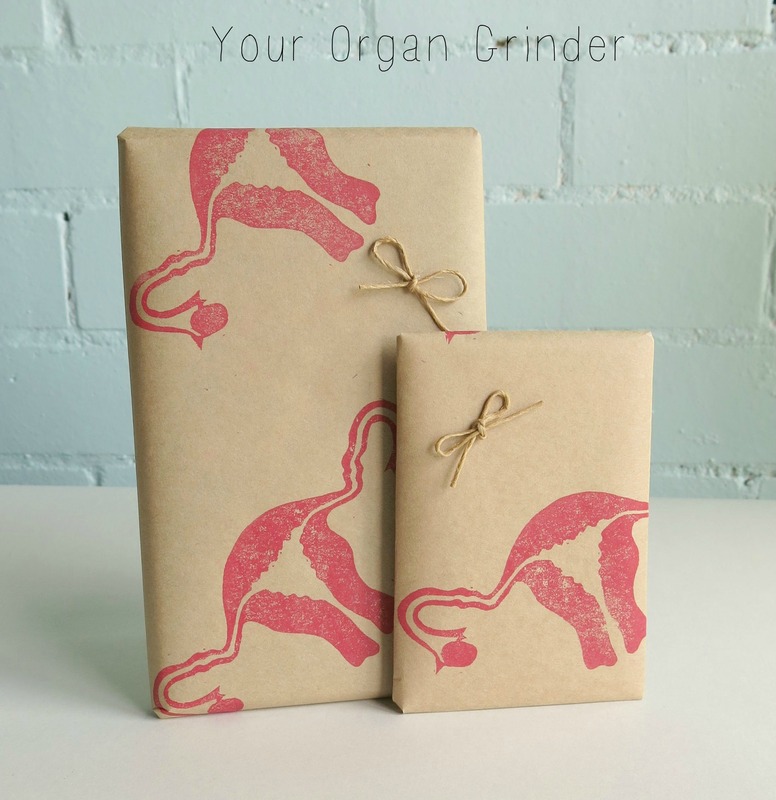 Today I spent a little time making some more wrap for orders using my own hand carved Your Organ Grinder Anatomy stamps. 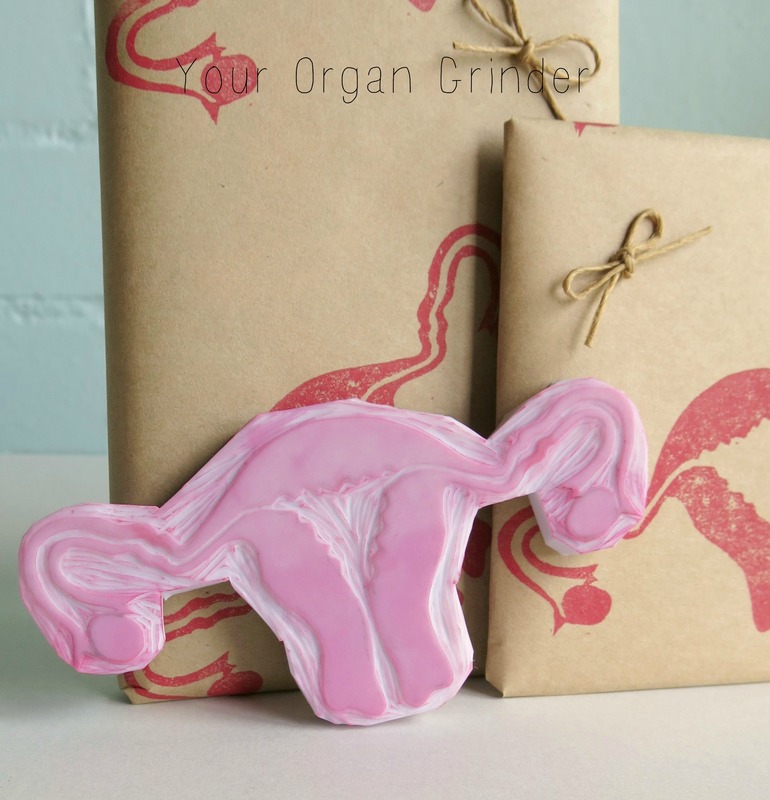 I use my stamps to make wrap and tote bags, rather than selling the stamps I carve. Some Stamped little stuffed things. Not sure what to do with them. Any ideas? 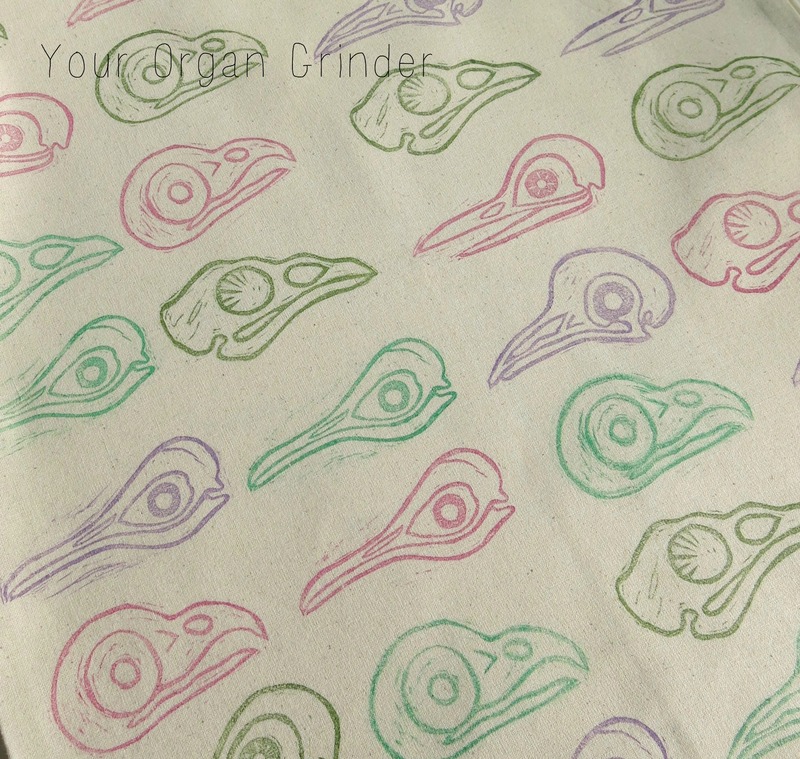 Stamped Tote Bag, bird skulls. 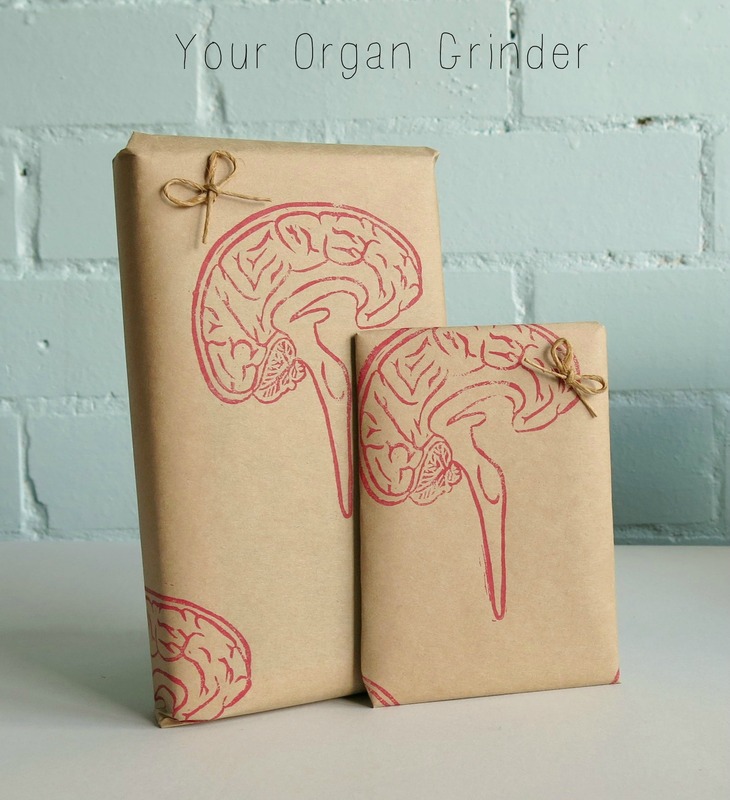 This entry was posted in Your Organ Grinder and tagged anatomy, bird skull, brain, hand carved stamps, handmade wrapping paper, ovary, stamps, uterus, wrapping paper, your organ grinder on April 13, 2014 by yourorgangrinder.